Experience the world of YouTube on your Windows Phone! 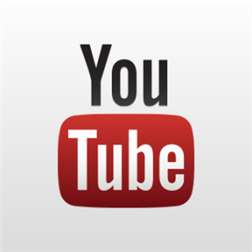 With this app, created by Microsoft, access your YouTube account and easily explore and manage YouTube’s vast catalogue of videos and channels. Share videos with your friends via social networks, email and text messages. Enjoy listening to your video playlist with enhanced player controls. Pin videos, playlists, channels and even search queries to the Start screen as Live Tiles. Live Tiles flip to show YouTube’s most popular videos or your subscriptions’ latest uploads. YouTube for Windows Phone is also integrated with Kid’s Corner, so you can help ensure that your kids are watching age-appropriate videos. This Microsoft developed YouTube App and its creators are not associated with or sponsored by YouTube, LLC or Google, Inc. All rights belong to their respective owners.